Packed with superstars, but lacking gameplay to match. 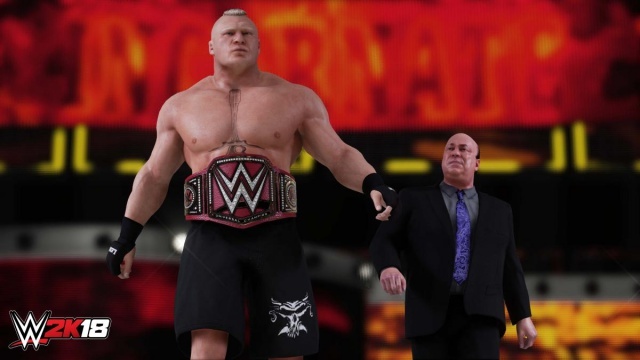 It's safe to lump the WWE 2K franchise into the same pile as other sports titles. Like its counterparts, the wrestling game often favours slight changes from iteration to iteration, instead of sweeping improvements. The result can sometimes feel not too dissimilar from the version that came before it, which is quite frustrating given the current price of games. That seems to be changing, however, with the likes of FIFA and Madden aiming to push the boundaries in terms of the gaming experiences they deliver. But where does the latest wrestling title, WWE 2K18, fall in the equation? Has it been able to keep pace with other sports titles, or is it simply sticking with the same old formula? 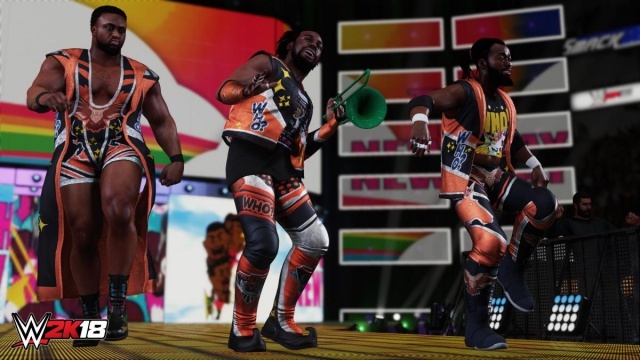 Unfortunately it appears as if things are a bit more negative than positive, as WWE 2K18 does not feel like a game made in 2017, but rather one from a few years earlier. This is evident from the moment you boot up your console and launch the game, with elements of the menu not thoroughly thought out in our opinion. To kick things off, you need to read and accept the usual T&C's for the title, but once you select the required document, you need to go back instead of pressing 'X' to accept. The same odd navigation exists in almost all of the modes of WWE 2K18, with users often prompted to hit the 'O' button and move backwards in order to get to the next element of the title. Compared to the likes of modern sports games like Madden and FIFA, the user interface for WWE 2K18 seems like something we'd find in the early PS3 variant of the game. It's ultimately an aspect that blunts the overall experience of the game, and really stifles exploration of the different modes, instead of encouraging it. Our grievances with the menu layout aside, there are a few shining parts of WWE 2K18, with the sizeable roster being one. WWE is an organisation that is innately aware of its history, and it leverages that with the addition of several WWE superstars from yesteryear. As such, we were very keen to try out favourites of ours like The Rock, Macho Man Randy Savage or Ultimate Warrior. Most of the really awesome superstars will require unlocking though, with the use of in-game credits. Luckily you get 30 000 units to start off with, but with superstars costing between 3000 and 5000 units, you need to spend wisely. The addition of a plentiful roster is a nice touch, and for long time fans of the WWE world, should add countless hours of nostalgic gameplay. Another impressive aspect to WWE 2K18 was the sheer variety of fights you can set up in the Play tab. There are nine different options to choose from in terms of the number of superstars involved in a match, and from there up to 12 further choices for the rules of the match, with TLC (Tables, Ladders and Chairs), Backstage Brawl and Steel Cage among them. From there though, things take a slight turn, with the look and feel of the matches themselves needing some spit and polish. The actual design of the superstars is strong enough, but the environments they fight within are far less detailed, with certain elements appearing a little blocky. Add to that the fighting and wrestling mechanics, which are not as responsive as one would hope for a modern day sports title. Picking up an opponent from the floor for a throw or signature move for example looks supremely clunky, which along with the lack of variety while throwing multiple punches or kicks, makes WWE 2K18 seem dated in terms of the fluidity of the gameplay. The only real system that worked well is the counter, but other than that, it's hard to find a stand out element of the gameplay. That said, the pageantry of entrances, as well as WWE Universe mode, which allows gamers to play in digital versions of real-world matches, are nice touches. We think if the same though for those elements filter into the rest of the game, the WWE 2K franchise would have been a lot better off. All in all, as the only truly licensed WWE experience available at the moment, it's hard to look past WWE 2K18. But the game doesn't feel as polished as we were hoping for, or indeed as it needs to be. With a game engine that still yields clunky looking fights that are better placed in a title from a few years ago, this latest offering has not moved with the times. The only real saving grace is the chock-a-block roster of superstars to choose from, which adds enough nostalgia to blind gamers from WWE 2K18's other glaring mistakes.